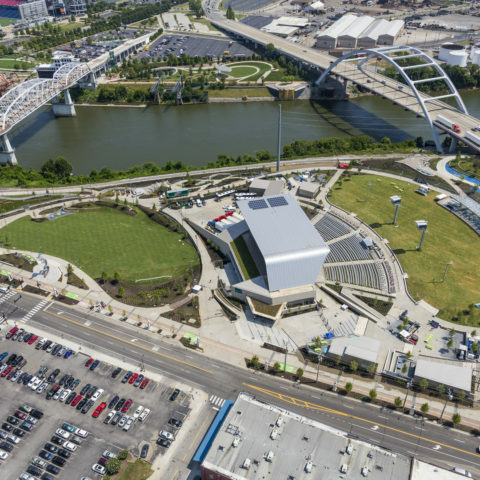 An 11-acre civic park to revitalize and activate the Riverfront of Downtown Nashville with a 1.5 acre lawn and over one mile of multi-use greenway trails. 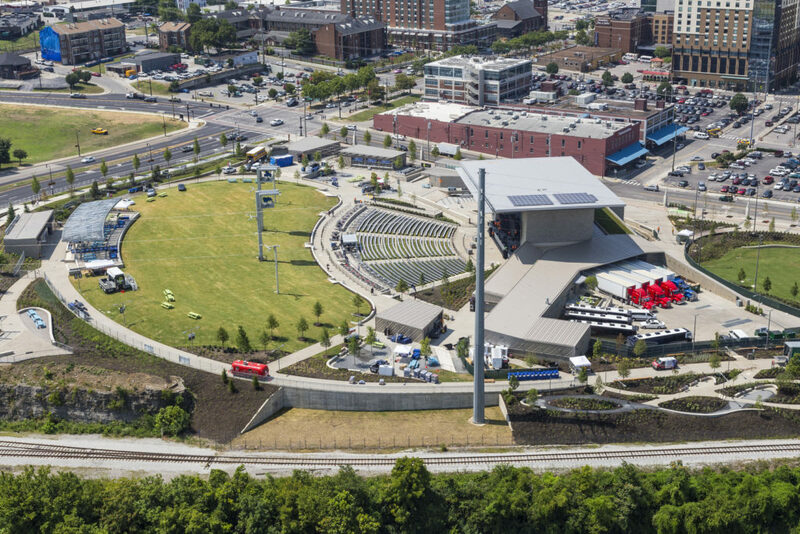 The site features a state-of-the-art Amphitheater, which is LEED Gold Certified and is one of the top outdoor venues in the United States. 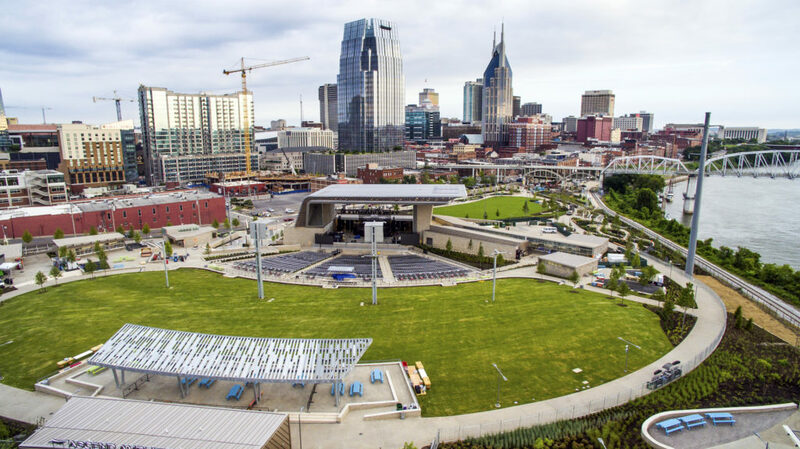 The site is also home to Nashville’s first urban dog park, the city’s “front porch” swings, ornamental gardens sponsored by Cheekwood Botanical Gardens, and the Betty Brown Tree Trail. 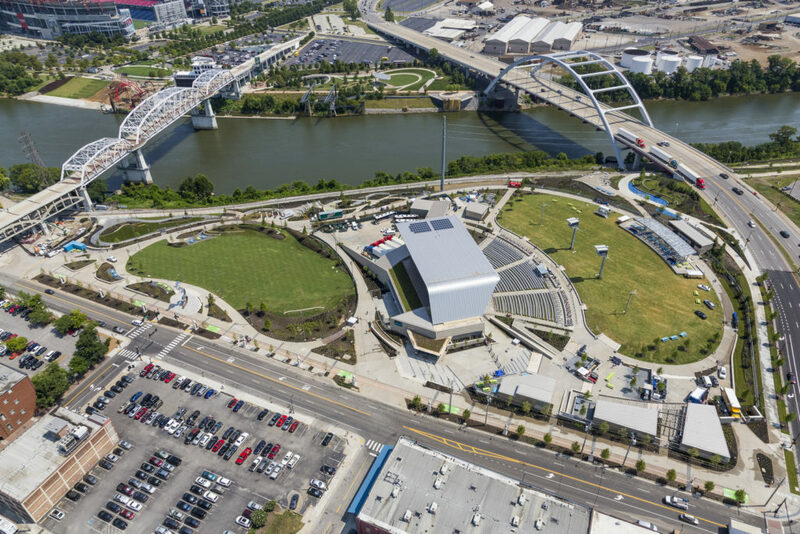 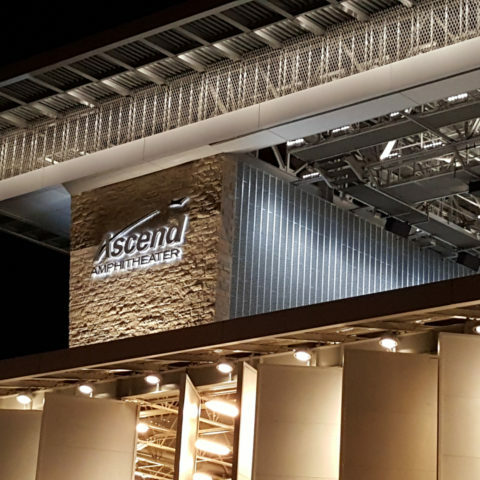 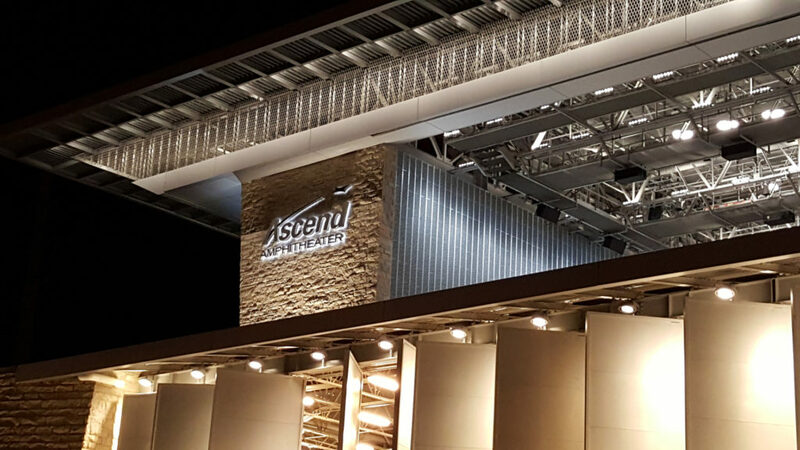 Ascend Amphitheater received two awards at the 2016 Pollstar Awards, one of which was for Best New Major Concert Venue. 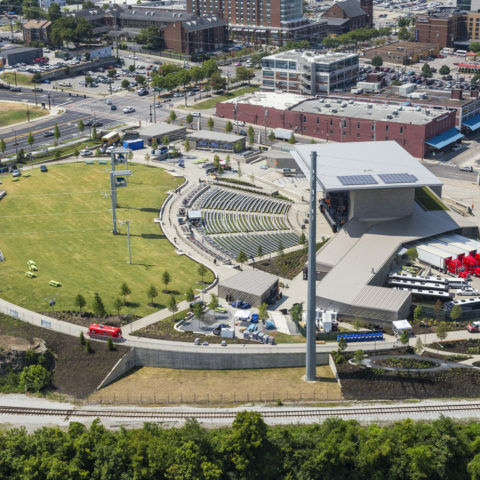 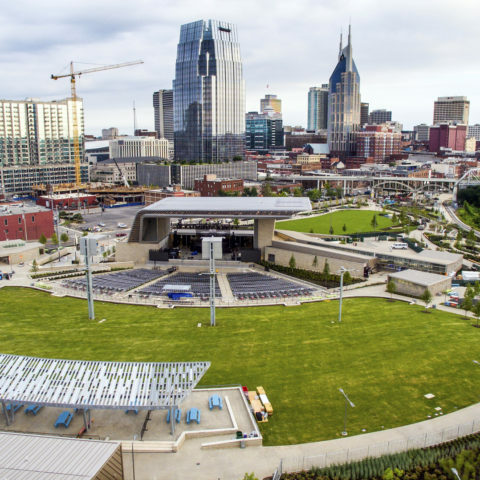 The Park & Amphitheater was also a winning project at the 2016 ULI Nashville Excellence in Development Awards, and was voted the People’s Choice Award.